The NBA named their 2019 All-Star Game starters with LA Lakers’ LeBron James serving as the Captain for the Western Conference (tying Kobe Bryant for the record for the number of All-Star Game starts at 15). Rounding out the Western Conference starters: Golden State’s Stephen Curry and Kevin Durant, Houston’s James Harden and Oklahoma City’s Paul George. 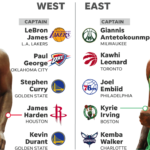 In the Eastern Conference, Milwaukee’s Giannis Antetokounmpo will Captain the team while Philadelphia’s Joel Embiid, Toronto’s Kawhi Leonard, Boston’s Kyrie Irving, and Charlotte’s Kemba Walker round out the starters. LeBron and Giannis will choose their teams on February 7th from any of the starters (regardless of conference) then from the reserves (which will be announced on January 31st). Last year the NBA adopted this new format. All-Star weekend festivities take place February 15th-17th. 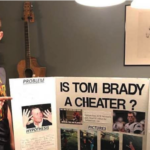 A 10-year old boy won his science fair with a project claiming New England Patriots’ quarterback Tom Brady is a cheater. Ace Davis conducted experiments proving that deflated footballs (remember Deflategate) traveled the farthest, so Brady had a competitive advantage. After winning his school science fair, he’ll be competing in the district’s competition. Ace is clearly not a Brady fan (had pictures on his posterboard of Brady crying) and thinks Joe Montana is the greatest quarterback of all time.